When you need a Detroit, Michigan attorney, you can find experienced, competent representation at the office of Jeffrey M. Van Loon, PLLC. Detroit, Michigan attorney Jeffrey M. Van Loon, PLLC offers the kind of aggressive and capable representation that gets results for his clients. At our office, your case is given the kind of personalized attention that it needs, because we know that focus on details can make a world of difference. Whether you’ve been charged with a DUI, need compensation for an injury caused by someone else’s neglect, or are going through a divorce, we are here to help. Call us today for more information. When you call the office of Jeffrey M. Van Loon, PLLC, you realize right away that you’re dealing with experienced professionals. We ask the right questions so that we can get to the heart of your case, and when you retain our services, we get right to work formulating a plan of action geared toward getting you the best possible outcome, whether or not we have to go to trial. If you’ve been arrested for driving under the influence, we’ll check to see if the police followed proper procedure, and look for technicalities. If you have a personal injury case, we’ll interview any witnesses and obtain all relevant documentation so we’ll be sure to have all pertinent information to get you the compensation you deserve. If you’re facing criminal charges, we’ll start by doing all we can to get the charges reduced or dropped, but if we have to go to trial, we’ll fight to protect your rights and your freedom every step of the way. Attorney Jeffrey M. Van Loon, PLLC has extensive experience in the legal defense field, and his knowledge of the law is a significant benefit when it comes to your representation. Call us today to schedule an appointment for a free consultation. 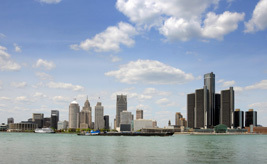 When you need a Detroit, Michigan attorney, Jeffrey M. Van Loon, PLLC is a smart choice. When you retain our services, you can rest assured that you’ll be in good hands. We represent clients from all over the greater Detroit area, and we offer flexible and affordable payment options for your convenience. Call us today and let’s talk about how we can help you.